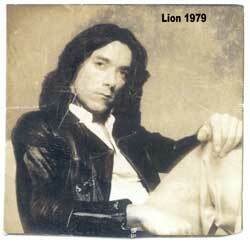 THE ALMOST LOST LION ALBUM!! 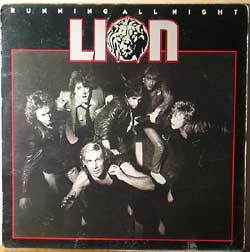 The album ”Running all Night” by LION was released by A&M records in 1980 and has recently been made available on CD by Retrospect Records however these recordings (1979) are the first by the group which were never released for reasons which are unclear to me. Many of the tracks were re-recorded for the official release but there are some gems here! The sessions took place at the Record Plant in Los Angeles with Ron Nevison producing assisted by Mike Clink. Ron has many credits to his name including Led Zeppelin, Jefferson Starship and The Babys with whom he had some massive hits in the U.S.A. Mike Clink is now known for his stupendous productions of Guns’n’Roses and I’m sure you will be able to hear the roots of his sound in Nevisons. The tracks have been mastered from the only cassette copy still around and sent to me by John Sinclair. There are a couple of drop out here and there but most of it is intact. I guess the masters are in the vault at A&M, at least I hope they weren’t destroyed. We had just been signed, we had a big budget, we were very enthusiastic and brimming with ideas. Gary Farr: The T Bones, a very popular R&B outfit in the early 60’s and then signed to Atlantic records (His album “Addressed to the censors of love” is now a collectors item and much sought after) before he formed LION. He later worked with Fred Tackett (Little Feat) after LION and also made a successful career as a still photographer on big budget Hollywood movies plus acted in the Oliver Stone movie “Salvador” Sadly he passed away a few years ago. Steve Humphries: Mahatma Kane was a very popular theatrical band on the London scene. Steve was Gary’s first recruit for LION and was also in The Difference- twice! He then opened the top pub in L.A. “The Cat and Fiddle” with Kim Gardner. Two bass players owning a pub- wow. Eric Dillon: Engelbert Humpadink followed by a stint in Hendrix bass player Noel Redding’s band “Fat Mattress” LION and the Difference. Last heard of as a commercial airline pilot. Some of the spellings are probably wrong but you know what I mean. So enjoy the record, download it and pass it on. For me when I hear it I can’t believe a record company would bury music like this but that’s the breaks! There are also previously unheard tracks from The Jess Roden Band in the Downloads page so check those out too.